Lentz has a long history of releases going back to the early 80s (with recordings that reach back even earlier, to the mid 70s) and on almost all of those, the featured instrument is piano or electronic keyboards – nearly always played by someone other than Lentz himself, while he assumes the role of composer. Here, the performer is pianist Vicki Ray, who was a member of the California E.A.R. Unit and Xtet, and has been featured on numerous recordings both of her own and in collaboration with others. 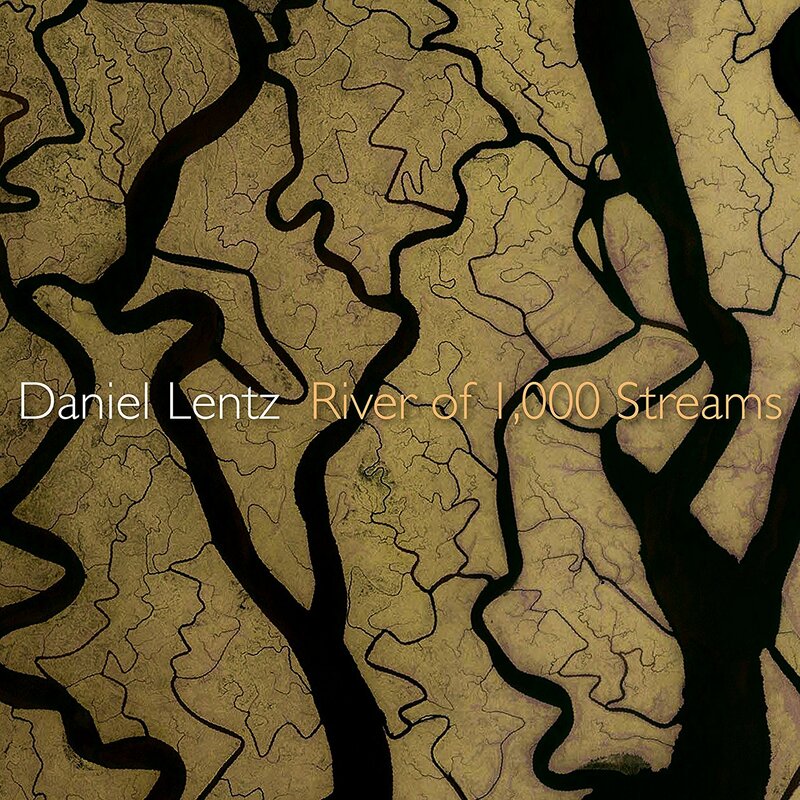 River of 1,000 Streams is a single 28-minute purely textural piece for piano and cascading echo systems, an effect that Lentz has used off and on since the early 80s, creating up to 11 layers of echoes that may appear anywhere from a split second to several minutes after the pianist first plays them, working here to create a dense tapestry of new and recurrung sounds, often giving the impression of a much larger ensemble. The inspiration for this piece came from two weeks that the composer spent in North Dakota near the confluence of the Yellowstone and Missouri rivers, and specifically one early morning on the banks of the Yellowstone river in western Montana. This can certainly be heard throughout the piece, as it flows effortlessly through numerous phases of kaleidoscopic textural diversity, slowing and growing and breathing life into every note and the piece evolves through its paces.